If you're still looking for something special for your love, how about a singing valentine? 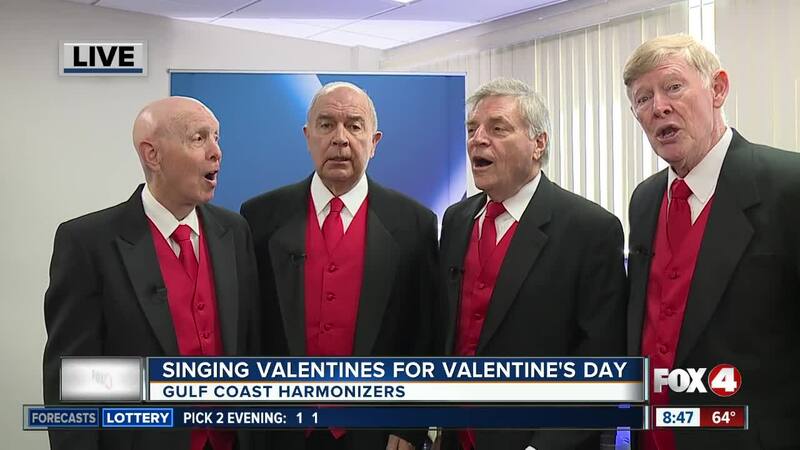 Music is in the air this Valentine's Day with the Gulf Coast Harmonizers. The quartet joined us in-studio for a preview of their skills. If you would like to book the Harmonizers, $60 gets you two songs as well as a card, rose, and candy. You can give them a call at 1-855-425-3631, or visit them on their website right here.